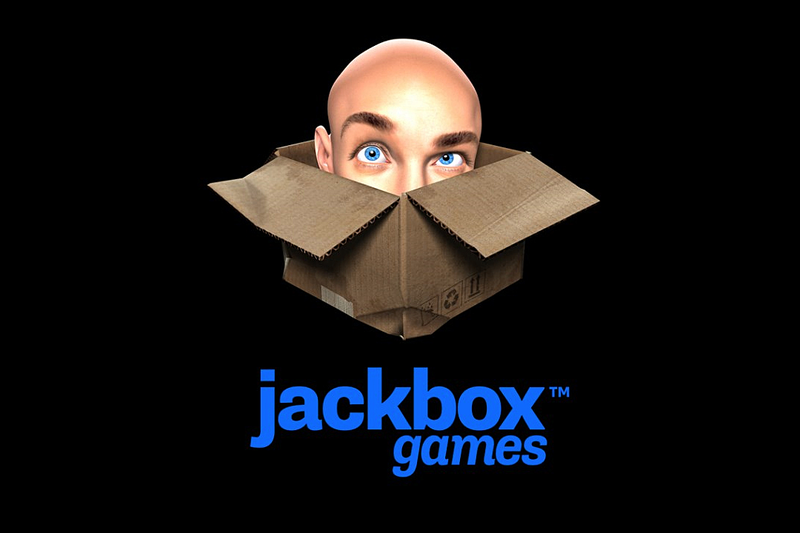 The Jackbox Party Packs 1-5 are collections of trivia, bluffing, guessing, and drawing games. Groups of players join in using their phone, tablet, or even computers. Player capacity: Varies. A minimum of 3 is required to play most games, and up to 10,000 can view (and sometimes affect results) as spectators. A minimum of 3 is required to play most games, and up to 10,000 can view (and sometimes affect results) as spectators. This game will be available to play anytime during the convention! The blanking fun sequel with all-new question types and the game mode Fibbage: Enough About You where you guess the weird facts about your friends. The web-based frame game where you twist your friends’ “online” comments in hilarious ways. The spooky date-a-thon where you message and date fellow monsters with special powers. The deranged debate match where you place smart bets on stupid arguments. The one-up art game where you compete to improve the town murals. The say-anything sequel. Play all new questions or make your own! A deadly quiz show where you match wits with a trivia-obsessed killer. The brain-battering data-mining guessing game. The t-shirt slugfest where you battle your custom t-shirts to the death! One of your friends has something to hide in this sneaky game for tricksters. The runaway hit bluffing game with over 500 brand-new questions, more than 2x the original! Plus new features, like the deFIBrillator! The hear-larious sound-effects game that will leave you up to your ears in laughter! Cow moo? Huge explosion? Or tiny fart? Which to choose? The absurd art auction game where you draw right there on your phone or tablet. Outbid your opponents for weird art pieces – drawn by players themselves – and win this strangely competitive auction game! Don’t be a bidiot! The say-anything, gut-busting Quiplash XL (3-8 players), which includes everything in Quiplash, Quip Pack 1, AND over 100 brand-new prompts! The bomb-defusing nailbiter of a party game! As interns at Bomb Corp., you must defuse random bombs in the office in order to keep your jobs. You’ll probably die, but it’ll be good work experience! The hilarious bluffing game Fibbage XL (2-8 players), with 50% more questions added to the original hit game Fibbage. The bizarre drawing game Drawful (3-8 players), where you draw right there on your phone or tablet. This game will be available to play any time during the convention! Play for as long as you like!